Let your kids listen to their favorite songs no matter where you are with the JBL JR POP Portable Bluetooth Speaker. The built-in rechargeable lithium-ion polymer battery supports up to five hours of playtime, so your kid can rock out to their favorite playlist from the school bus to their after-school activities. You can even take this portable speaker to the beach or pool thanks to its IPX7 waterproof rating, which will continue to work if wet or even submerged. Additionally, the JR POP features a multi-color lighting mode that adds more fun and interaction with this speaker. 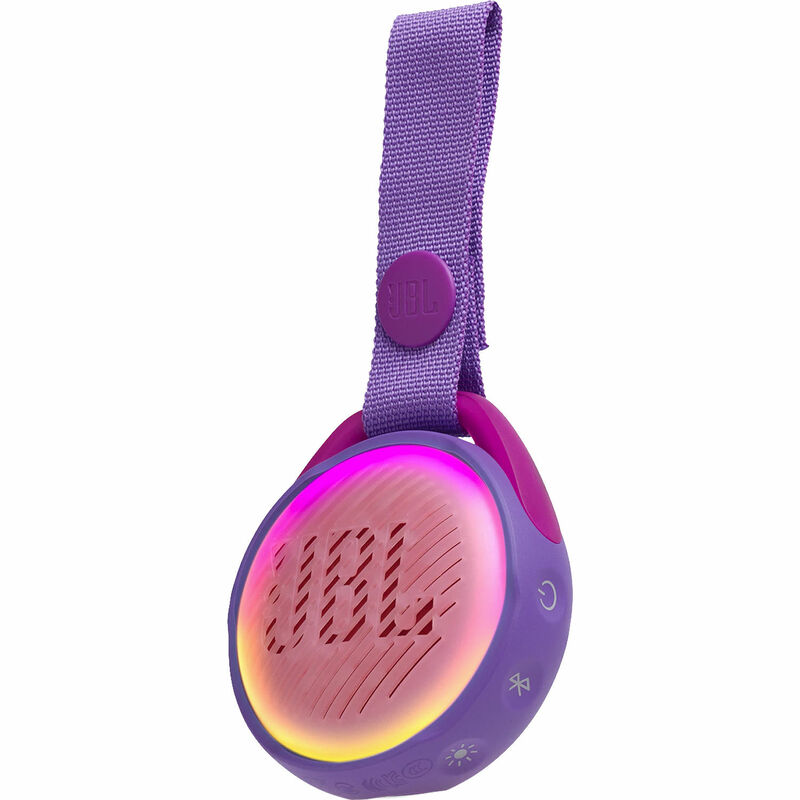 Kids can use the removable strap to attach this speaker on their backpack or belt loop. Kids can customize this portable speaker with the included fun sticker sets. Box Dimensions (LxWxH) 7.65 x 5.35 x 3.2"